1803 x German Reich / GERMANIA - rustic inventory packed in a carton with lots of material on stock cards, in old glassine-bags, as well mounted on pages. 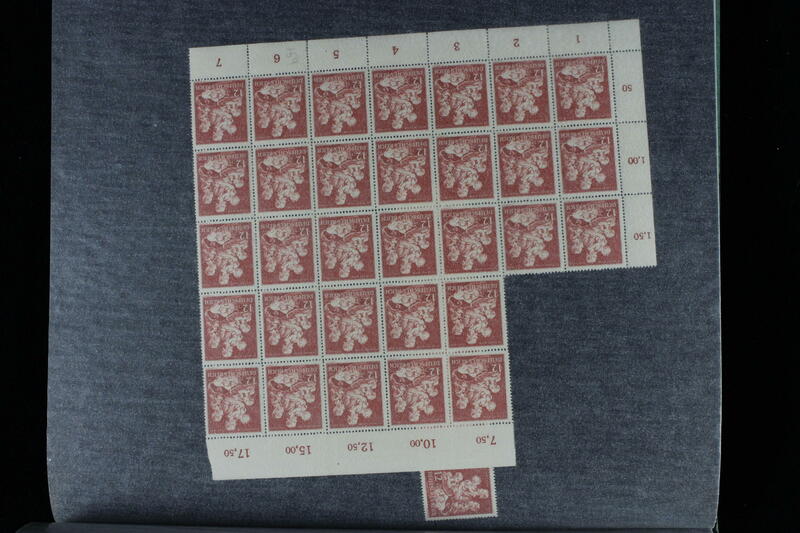 As well an abundance different denomination value, often in larger numbers of pieces, including mark values. Great treasure trove for specialists. 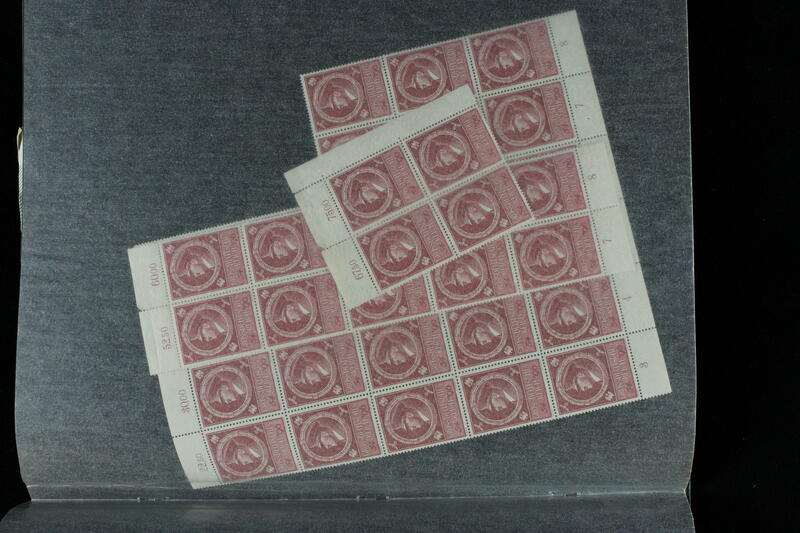 1804 x Third Reich - extensive lot packed in a carton, as well interesting material, including 1 RM. Chicago travel unused, numerous souvenir sheets, with also a number of Hitler souvenir sheets, Wagner set complete used, partly from corner margin, Nürnburg-race on beautiful letter piece with special cancel, professions set used, se-tenants, special- and commemorative issues and so on. Favorable treasure trove! 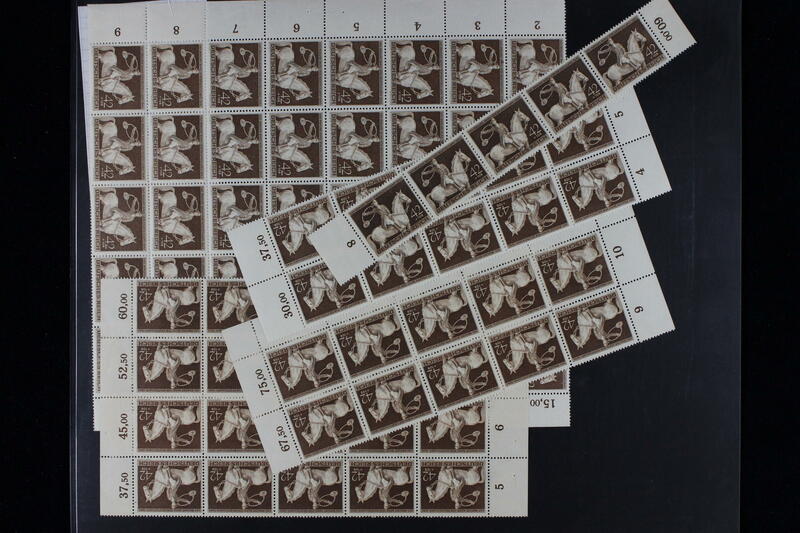 1805 x Third Reich - interesting lot packed in a carton, mostly blocks of four and multiples, as well much mint never hinged material, numerous special- and commemorative sets, margin copies and corners of the sheet, winter help work issues and so on. Enormous catalog value! 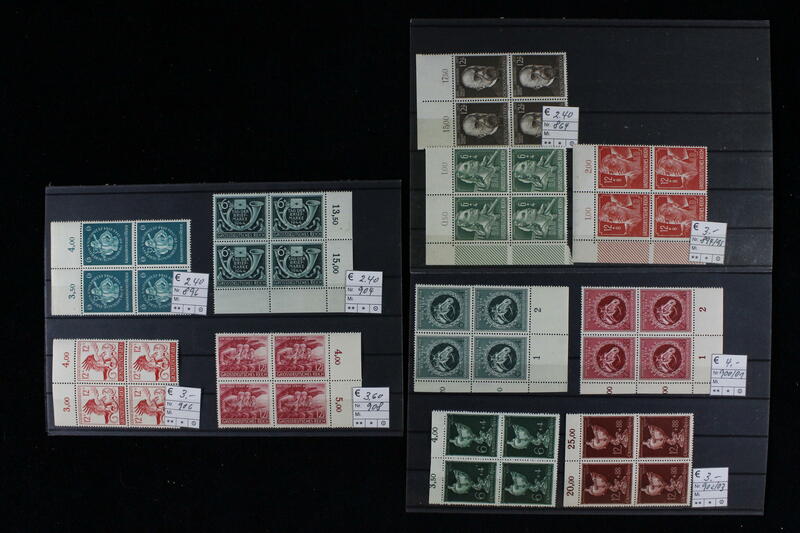 1806 x German Reich - interesting inventory used issues in bundles, all official stamps from of the inflation period respectively Weimar, not be searched to colours, plate flaws and so on. Treasure trove with gigantic catalogue value! 1809 x German Reich / se-tenants - extensive inventory se-tenants packed in a carton with numerous combinations from Germania to the Third Reich in stock books, on stock cards and so on. As well vertical and horizontal combinations, gutters, various advertising imprint, including Germania and inflation, much Third Reich with Hindenburg abundant, trades, costumes, olympic games, winter help work issues and so on. 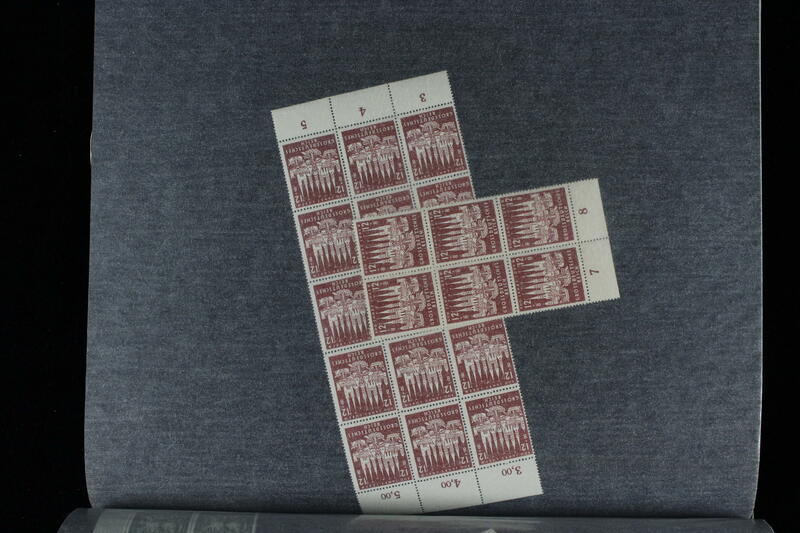 Large number of pieces and very high catalog value! 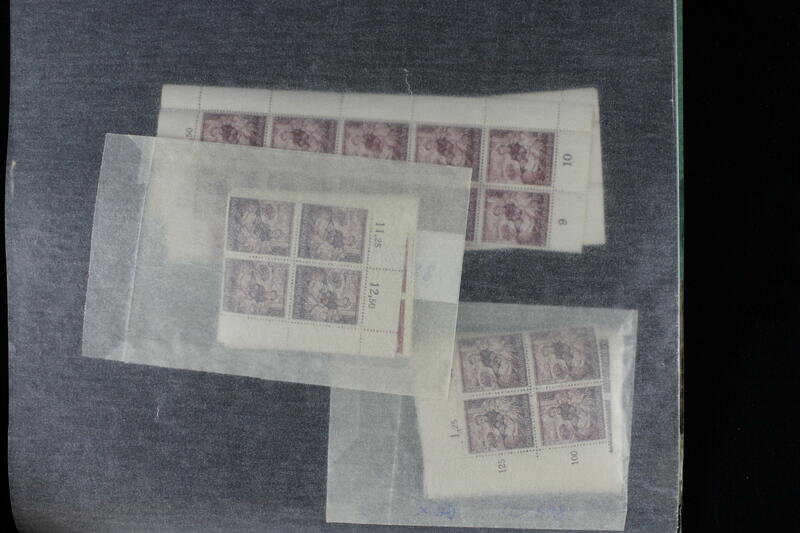 1846 x German Reich / inflation - extensive inventory of particular stamps in glassine-bags by the Michel-Catalogue numbers sorted, packed in a carton. 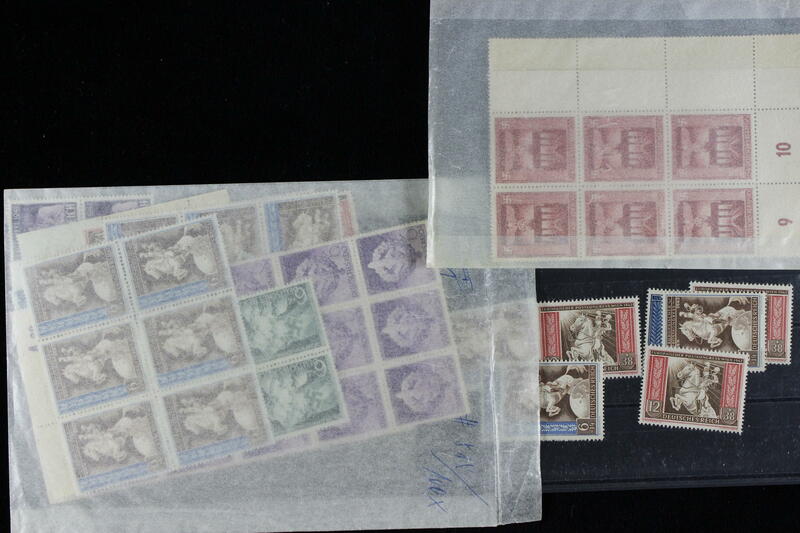 Very large number of pieces, as well a great many mint never hinged respectively used issues, few unused, multiples, margin copies and corners of the sheet and so on. Up to hyperinflation. Treasure trove for specialists! 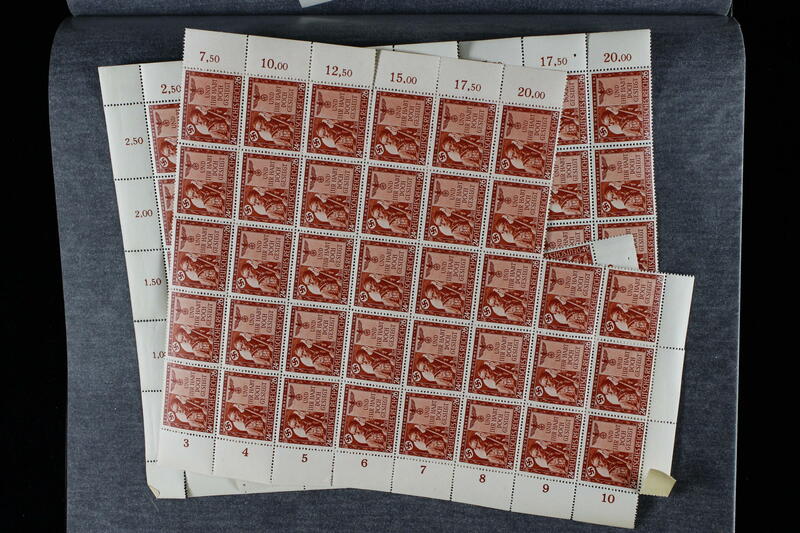 1850 x German Reich - extensive inventory in glassine-bags, all inflation period issues, packed in a carton. 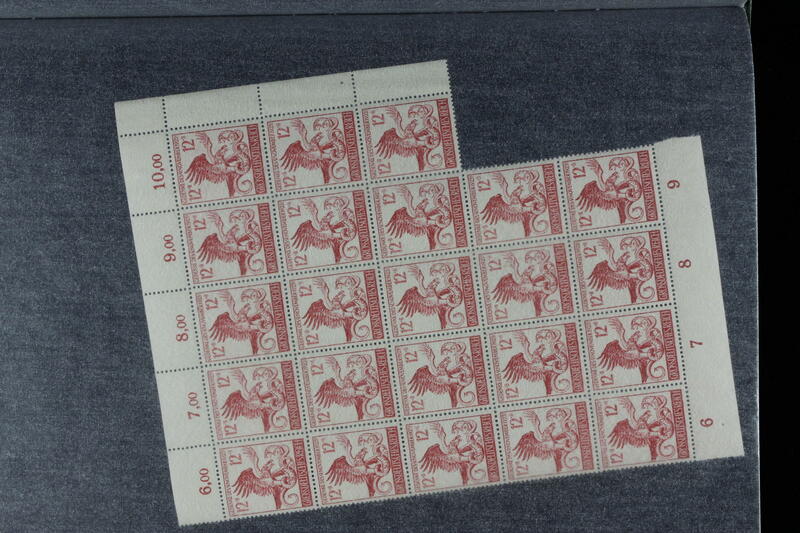 With also multiples, blocks of four, lots of mint never hinged material, as well also used issues. Not be searched to colours and so on. Treasure trove! 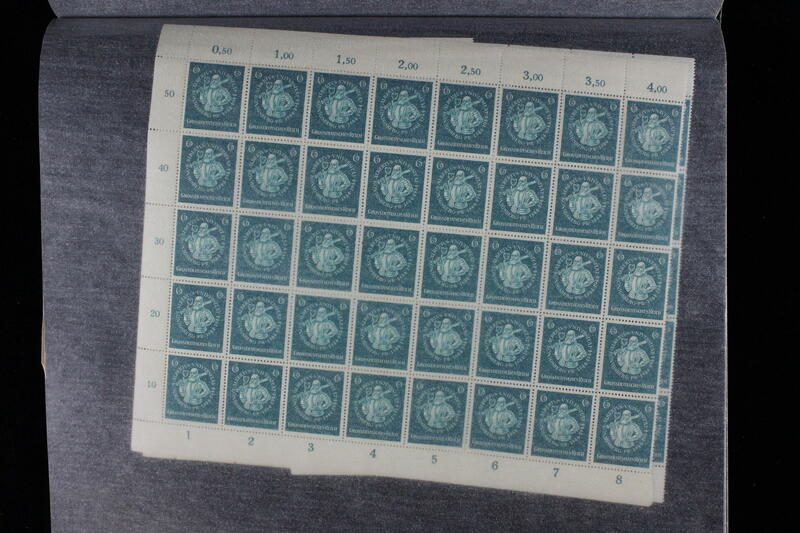 1851 x 444/45 German Reich - interesting lot Weimar Republic packed in a carton, as well numerous issues on stock cards, as well mounted on pages. 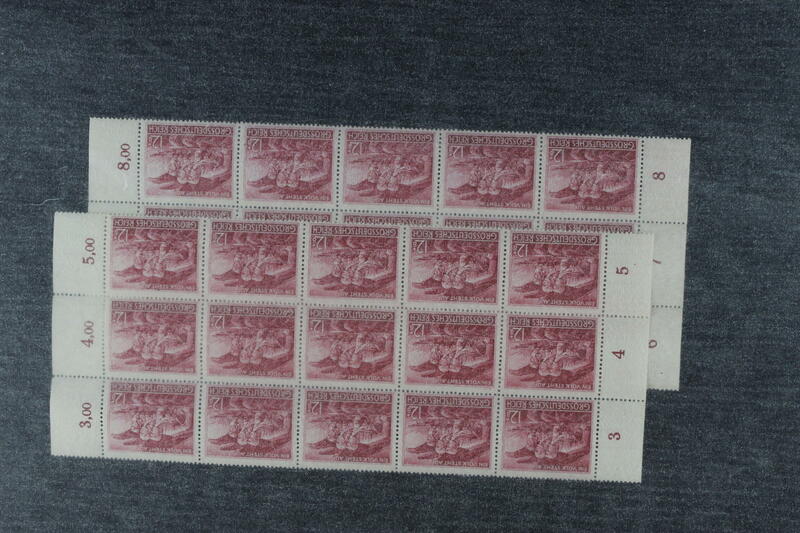 With also airmail 1926, postal stamps, Michel no. 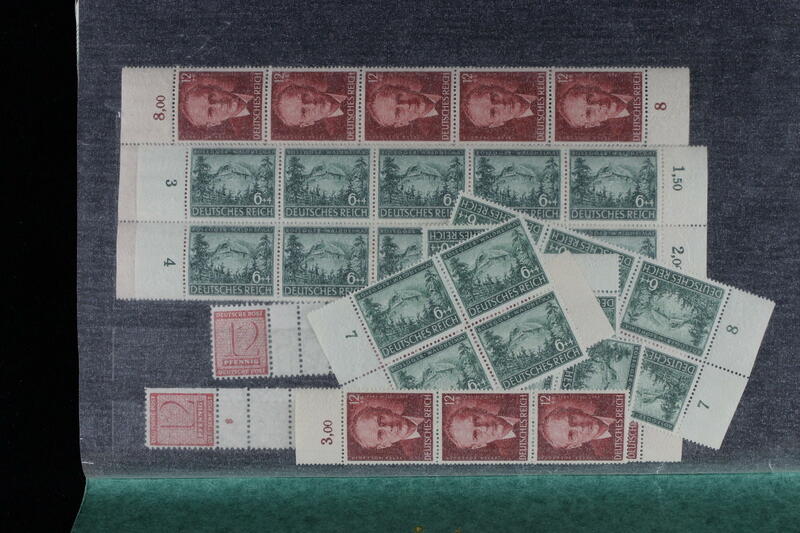 444 / 45 with two mint never hinged block of four sets, of it one from upper margin and so on. Treasure trove! 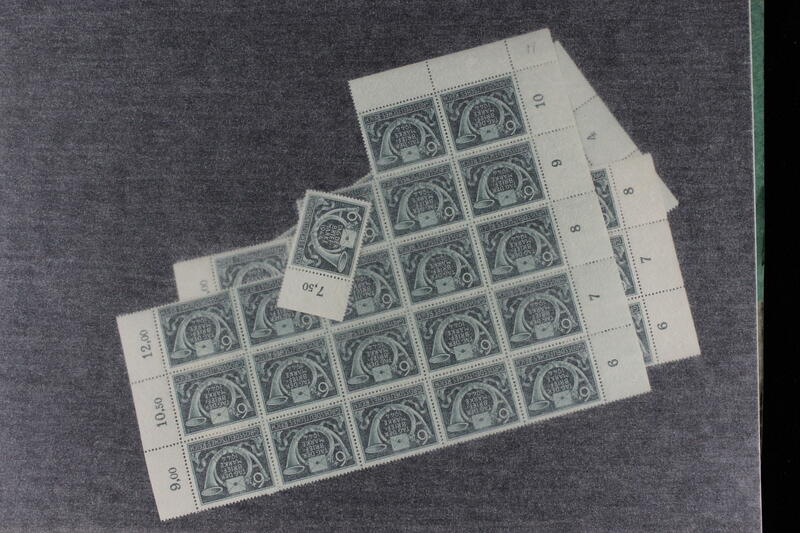 1852 /⊙/ / German Reich - extensive lot Weimar Republic in stock created in the spring back binder, mixed quality, as well better issues, numerous postal stamps values, need aid stamps and so on. Enormous catalog value! 1861 / German Reich / se-tenants - extensive lot se-tenants in two large stock books, mainly mint never hinged, as well popular issues, often multiple including an abundant part Germania, with also many tête-bêche, gutters, inflation, Weimar, as well numerous issues Third Reich including much Hindenburg, as well also costumes abundant, winter help work issues and so on. Very high catalog value! 1862 ⊙ German Reich / se-tenants - very large used inventory of the se-tenants in a large stockbook accommodated. As well numerous issues Third Reich with an extensive part Hindenburg, including gutters, many different combinations, often multiple, as well also costumes, trades, olympic games, winter help work issues abundant and Hitler. 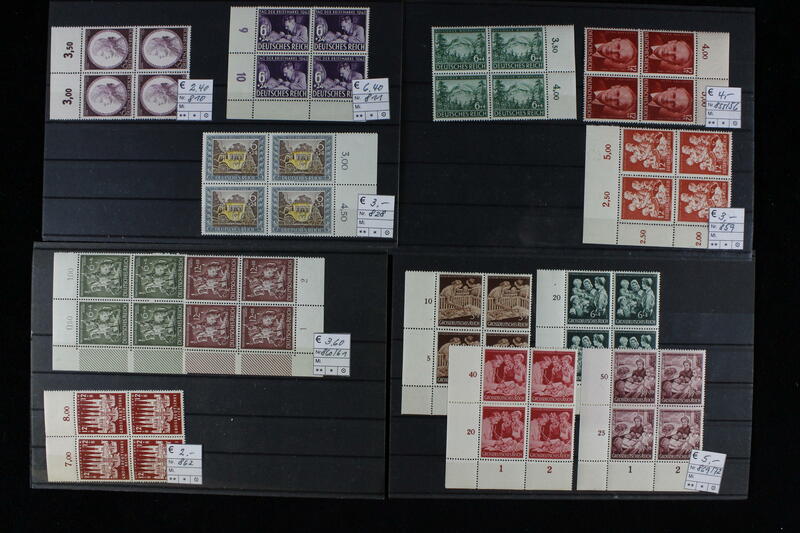 Interesting lot with very high catalogue value! 1870 ⊙ German Reich - 1933 / 45, extensive used collection in the KABE illustrated album, in the number of a major listing except for souvenir sheet 2 complete with all good issues including Chicago travel 1933, Wagner set, trade set, Ostropa souvenir sheet 1935 with special cancel expertized Schlegel BPP (partly separated respectively round corner), Pair of olympia souvenir sheets 1936 with special cancel, all Hitler souvenir sheets, Munich Riem overprint block with first day special cancel, brown and blue ribbons, winter relief series, Nürnburg-race, also cover with appropriate special cancel, Gdansk farewell series and so on. Favorable opportunity to acquire one nearly complete collection! 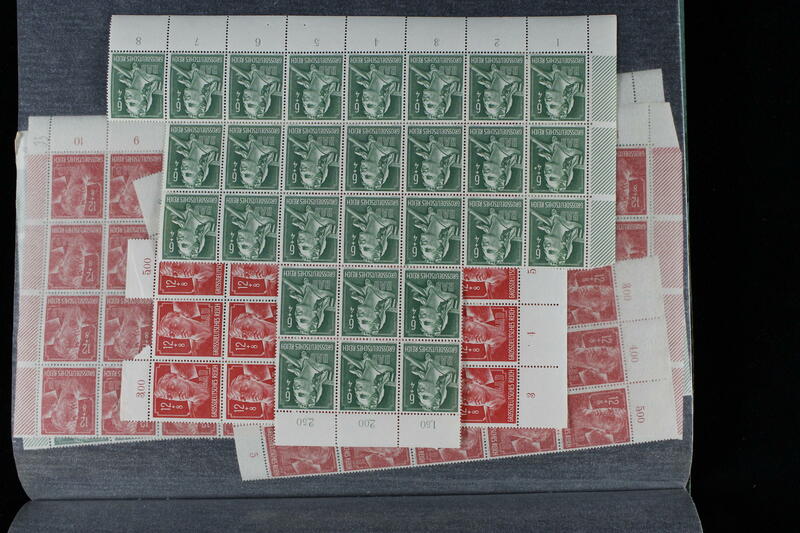 1881 /⊙/ German Reich - 1923 / 32, interesting and rich collection Weimar Republic in the spring back binder with different issues including airmail 1926. Besides a very good part se-tenants and stamp booklet panes. 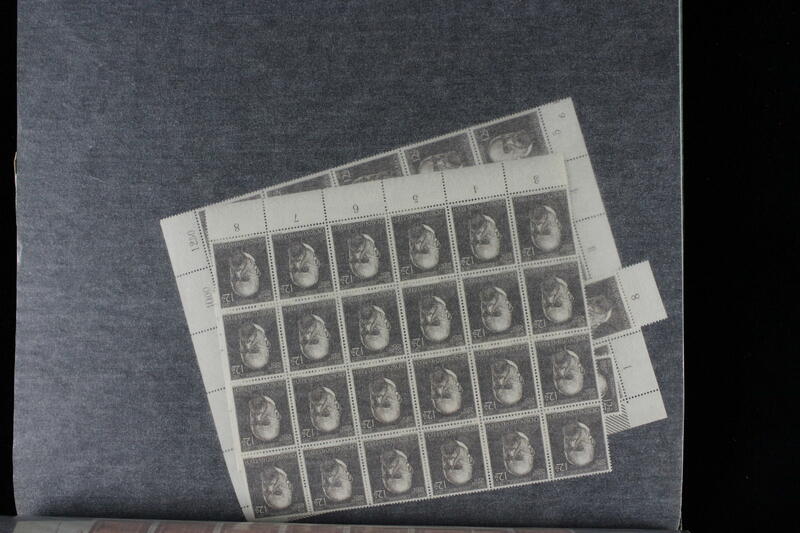 With also better help in need combinations, stamp booklet panes Presidents of the Reich mint never hinged (Hbl. 57 / 59), further Presidents of the Reich se-tenants and so on. Interesting object with very high catalogue value! 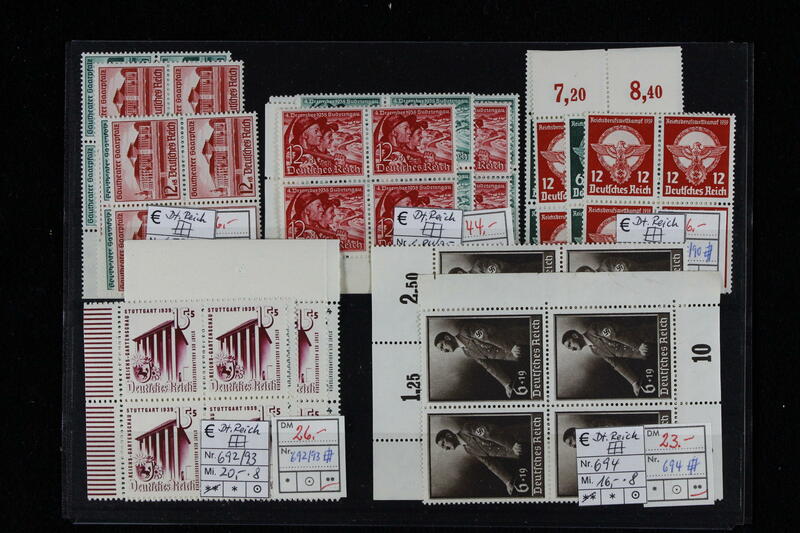 1893 ⊙/ German Reich - 1872 / 1945, rich collection on preprinted pages. As well an extensive part inflation, Weimar with help in need 1924, much Third Reich, with also Hindenburg watermark waffle, Chicago travel 1933, airmail 1934, as well numerous further issues. Favorable valued! 1900 ⊙ German Reich - 1923 / 32, extensive used collection in the ring binder on pages. 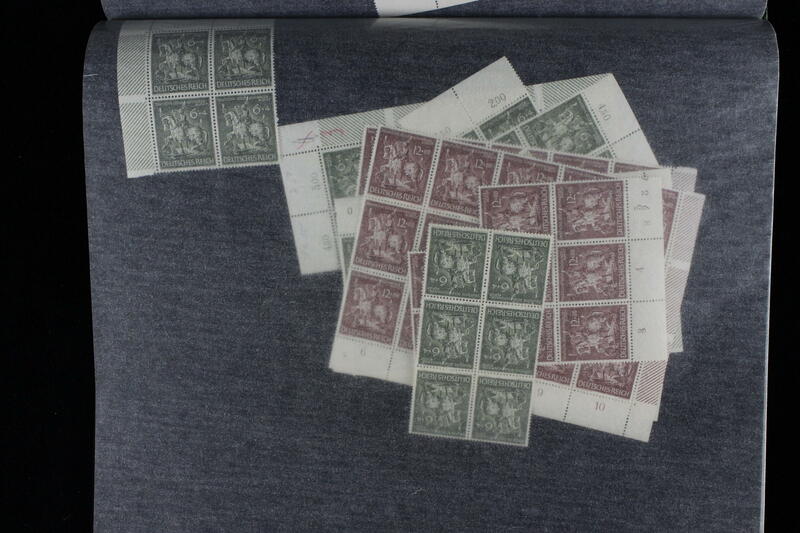 With also wood-pigeon 1924, airmail 1926, I. A. A. 1927, help in need sets 1924 / 32 complete and so on. Very high catalog value! 1901 ⊙/ German Reich - 1872 / 1945, rich collection in the Schaubek illustrated album with numerous different issues, complete sets, souvenir sheets and better issues. As well Germania-time including mark values, numerous inflation issues, Weimar Republic including 1-4 RM. Zeppelin, International Postage Stamp Exhibition souvenir sheet 1930, much Third Reich including winter relief series, Nürnburg-race, brown and blue ribbons, Gdansk farewell series, Pair of olympia souvenir sheets, all Hitler souvenir sheets, Munich Riem overprint block and much further material. Favorable valued collection with very high catalogue value! 1926 ✉ Third Reich - extensive inventory from covers, cards and postal stationery packed in a carton, as well interesting documents, frankings and cancellations, legitimate postage and so on. Treasure trove! 1934 ⊙/✉/ / German Reich - 1923 / 32, rich collection Weimar Republic, mainly used collected and supplemented with covers in the safe ring binder. 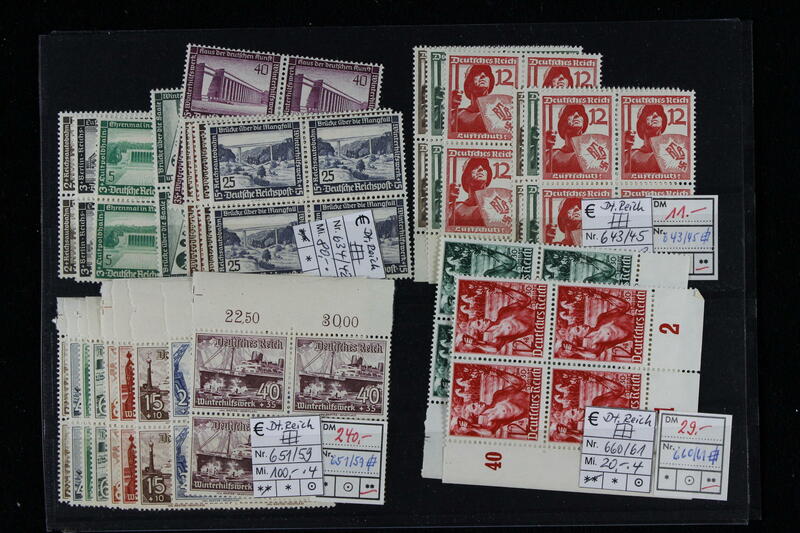 As well better issues, including airmail 1926, help in need sets, International Postage Stamp Exhibition souvenir sheet stamps 1930 with special cancel and so on. Very high catalog value! 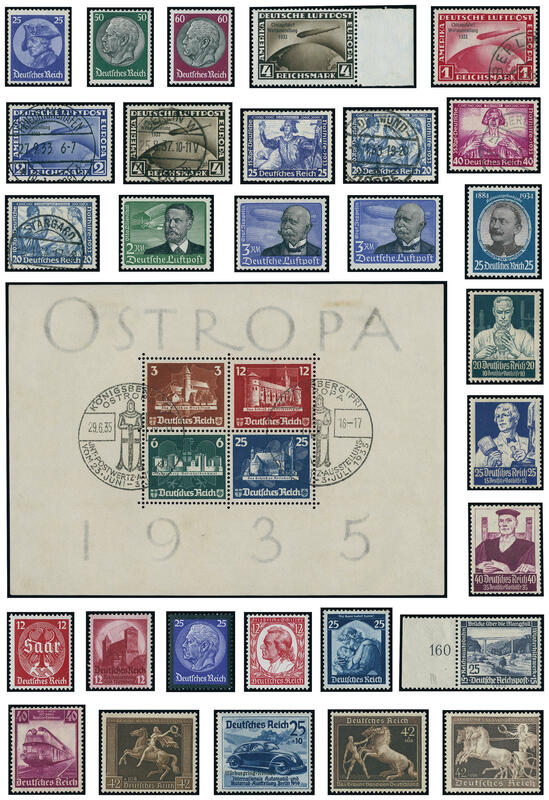 1935 /⊙/ German Reich - 1933 / 41, rich collection in the safe ring binder formed with plenty of better issues, frequently twice collected. With also 4 RM. Chicago travel mint never hinged from margin of sheet, Chicago travel 1933 complete used, Wagner set complete used including A and B-perforation, professions set twice, Ostropa souvenir sheet with special cancel, Pair of olympia souvenir sheets twice, winter relief series, brown and blue ribbons, Hitler souvenir sheets, Nürnburg-race mint never hinged and once again on magnificent letter piece with special cancel, Gdansk farewell series mint never hinged and used, as well further better issues. Enormous catalog value! 1950 ⊙/ / / German Reich - 1872 / 1925, interesting and rich collection in a large stockbook accommodated, as well numerous better issues, slightly mixed condition, with much perfect material. Thereby also very good part breast shields including better values, partly in both conditions available, penny / pennies and crown / eagle, with also color shades, 2 Pfg. 2 Mk. 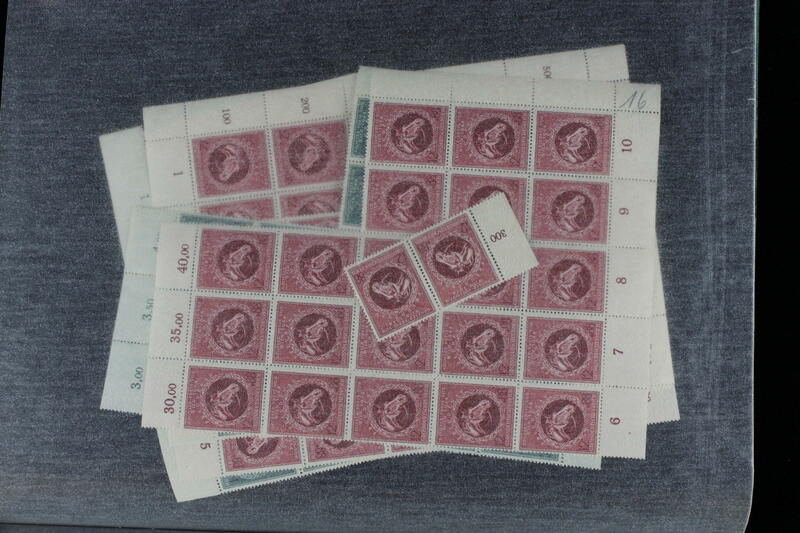 Reichspost unused, 2 Mk. Gothic inscription unused and used, airmail set 1912, as well an extensive part inflation period issues also anymore Weimar. A favorable valued object with very high catalogue value!